About me: I was born in East Lansing MI, however, I lived in Benicia, California from 4 years old to 18 years old. I moved back to Michigan in order to fulfill my dream of becoming a Spartan! I received my B.S. in Kinesiology with a minor in Coaching and Health Promotion. While in California, I played volleyball for 12 years and during my time at MSU I began coaching. I have always loved helping athletes become better players, teammates, and friends. 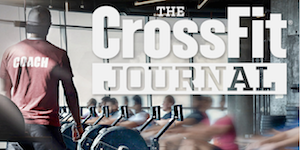 How I started Crossfit: I began my CrossFit journey at a CrossFit affiliate in the Lansing area. I was looking for motivation at the gym because I felt myself no longer performing the best to my ability. With CrossFit, I knew I would be performing a great workout, with the motivation I needed, every time I walked in the gym. While looking to continue my Crossfit journey, I found CFT. With my background in Kinesiology and personal training, I emailed CFT inquiring of a possible personal training or coaching position and the rest is history! My favorite part of being a coach is… seeing individuals hit a specific goal! Whether its weight loss or hitting a PR, it is such an amazing feeling to see individuals become stronger and healthier! Favorite WOD: Any AMRAP! I love being pushed for a specified time! Go-to Healthy snack: Bananas and almond butter! Cheat day favorite: Mac and cheese or pizza. If I am not at CFT you can find me: During the summer, I love relaxing on the beach and during the winter, you will find me binge watching netflix and cuddling with my cat.